Swimia.com needs your feedback to ensure all of the details is valid, since perhaps this pool is no longer open to the public. The best pools to swim are certainly indoor olympic pools. Not all countries would be the very same, and swimming regulations and rules are changing from one country to another. We at present have the following Indoor Pools in Massachusetts, but we are always grateful for any corrections or contributions. Get in touch via our contact form. Please have a look to the Swimming Pools swimmers like you may have reported. Is your pool not listed? Contact us to ADD IT. It's cost-free! Are you a regular swimmer? Do you visit the same Indoor Pools in Massachusetts? Please check that all the details for your aquatic center are correct and contact us if you ever discover any mistake. Whereas Worcester is among the six most populous cities in Massachusetts with nearly 181.045 residents, you shouldn't miss that one if you're going to Massachusetts. Without a shadow of a doubt, swimming in Boston may be the ideal way to unwind after function. 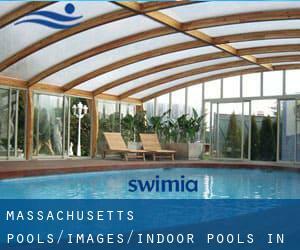 Take a couple of minutes to browse Swimia's catalog to find a Pool in Boston. Let us tell you a secret to switch off while you are in Springfield: just choose a Pool in Springfield and plunge into the water! There's no additional effective strategy. It's difficult to visit Massachusetts with out dropping by Lowell (with 106.519 residents). At present Swimia is showing you all of the Swimming Pool in Lowell along with the closest pools located in its vicinity. Updated on 2019 259 Lynnfield Street , Peabody , MA , USA (Postal Code: 01960). Swimmers like you reported 25 yards, 8 lanes, Indoors. Phone number and email address are number for this Swimming Pool. Updated on 2019 16 Charter Road , Acton , MA , USA (Postal Code: 01720). Among all the activities supplied by the center, if you're considering swimming you will appreciate 25 yards, 6 lanes, Indoors. Just in case you want to contact this Swimming Pool before dropping by, we only know the phone number. Updated on 2019 55 Lee Road , Lenox , MA , USA (Postal Code: 01240). Swimmers like you reported 20 yards x 30 feet, 4 lanes, 3.5 feet - 5 feet depth, Indoors. Phone number and e-mail address are number for this Swimming Pool. Updated on 2019 171 Pine St. , Holyoke , MA , USA (Postal Code: 01040). Few days ago a regular user of this center told us they offer 25 yards, 8 lanes, Indoors. Furthermore, they keep in good conditions 20 yards, 4 lanes, Indoors. Contact information for this Swimming Pool such as phone number and email address are number. Updated on 2019 40 Fairbank Rd. , Sudbury , MA , USA (Postal Code: 01776). Among all the activities offered by the center, if you are keen on swimming you will get pleasure from 25 yards, 8 lanes, Indoors. If you have to contact this Swimming Pool, email address and phone number are both number. War Memorial Pool at Cambridge Rindge and Latin H.S. Updated on 2019 1640 Cambridge St. , Mid Cambridge , Cambridge , MA , USA (Postal Code: 02138). Among all the activities supplied by the center, if you're considering swimming you will appreciate 25 yards, 6 lanes, Indoors. Just in case you want to contact this Swimming Pool before dropping by, we only know the phone number. Updated on 2019 165 Kembel St. , Lenox , MA , USA (Postal Code: 01240). This sports center provides 73.3 feet, Indoors. For this Swimming Pool, only phone number is number here. Updated on 2019 35 Northampton St. , South End , Boston , MA , USA (Postal Code: 02118). This sports center offers 25 yards x 45 feet, 6 lanes, Indoors. Contact data for this Swimming Pool just like phone number and email address are number. Updated on 2019 One Seaport Lane , Seaport District , Boston , MA , USA (Postal Code: 02115). This sports center delivers 50 feet, 3 lanes, 4 feet depth, Indoors. For this Pool, only phone number is number here. Updated on 2019 457 Walnut Street , Newton , MA , USA (Postal Code: 02460). This sports center offers 25 yards, 6 lanes, Indoors. For this Swimming Pool, only phone number is number here. Updated on 2019 575 Memorial Drive , Cambridge , MA , USA (Postal Code: 02139). Swimmers like you reported 25 yards, 3 lanes, Indoors. Phone number and e-mail address are number for this Swimming Pool. Updated on 2019 254 Essex St. , Beverly , MA , USA (Postal Code: 01915). This sports center offers Olympic size, 6 lanes x 25 meters, 6 lanes x 25 meters, 8 lanes, Indoors. For this Swimming Pool, only phone number is number here. Updated on 2019 101 Academy Dr. , Buzzards Bay , MA , USA (Postal Code: 02532). Swimmers like you reported 25 yards, 6 lanes, Indoors. Updated on 2019 1 Monarch Place , Springfield , MA , USA (Postal Code: 01144). Swimmers like you reported 50 feet, Indoors. Unfortunately we do not have the email address of this Swimming Pool, but we can provide you with the phone number. Updated on 2019 219 Littleton Road , Westford , MA , USA (Postal Code: 01886). Among all of the activities supplied by the center, if you are thinking about swimming you may enjoy 50 feet, Indoors. If you need to contact this Swimming Pool, email address and phone number are both number.